Today we had slow steady rain and then a quick windy thunderstorm which blew rain 4 feet into the house. The plants enjoyed both. The Arugula is just starting to poke through and the Beets, Chard, and Spinach are picking up steam. 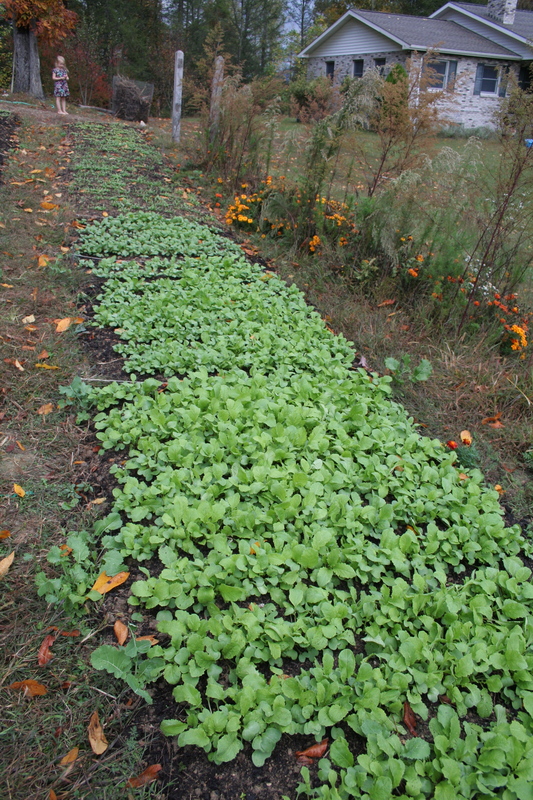 The Seven Top Greens Turnips and Radish varieties are ready for thinning. Thinning is one of my favorite things because it is really the first harvest. 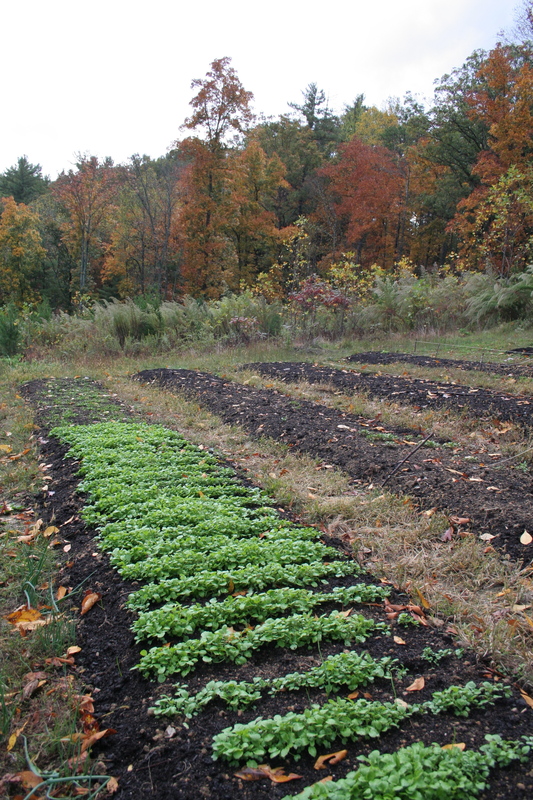 Get ready for baby Turnip Greens and Radish Tops! Contact us for pricing and pick up info. Oh my gosh, you have been so busy. I am envious. Looks wickedly awesome guys.